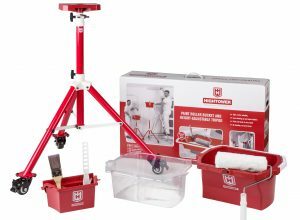 HighTower Roller Paint Bucket with integrated roller slope & magnetic paint brush holder. HighTower Paint Roller Bucket is a unique paint bucket as it includes an integrated roller slope for easy painting with a roller. 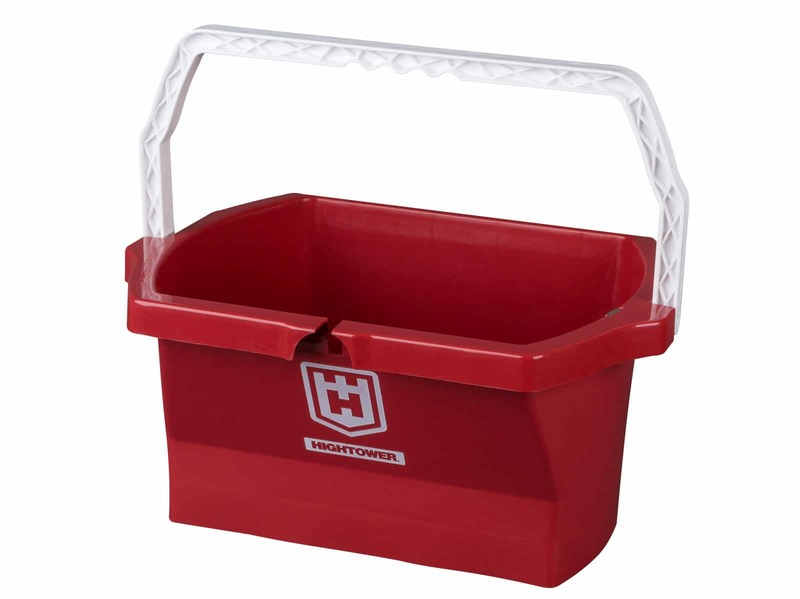 The HighTower Paint Bucket with disposable liners makes for easy, hassle free painting. 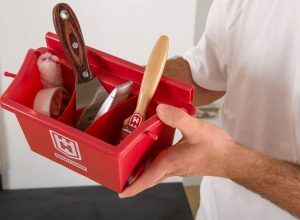 The paint bucket also comes with a handy magnetic paint brush holder for your wet brush. 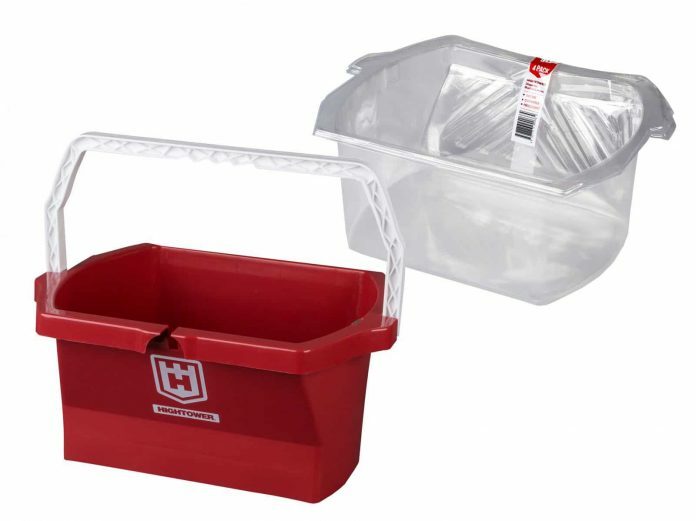 This paint bucket and disposable liners can be used in conjunction with our HighTower Tripod System. 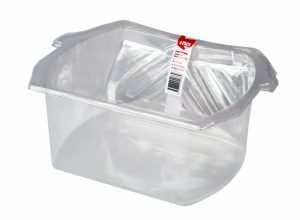 It can also be used as a stand alone painting bucket. For most people, cleaning your roller tray or paint bucket after finishing your painting job is one task too many. For that reason, HighTower Painting Products have designed the disposable liner for use with our Roller Paint Bucket. Simply dispose of the used liner once you have completed your painting job, keeping your roller paint bucket clean for the next job. HighTower Disposable Paint Bucket Liners are also great for paint jobs that use different paint colours. Just swap out your used liner and pop in a fresh liner. Now you are ready for the change in paint colour. The liners can be swapped in and out depending on the paint colour you want to use.